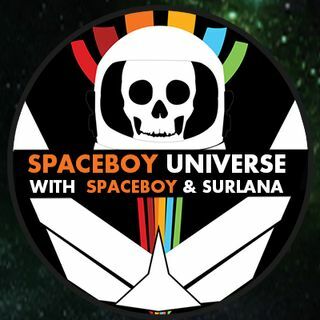 Spaceboy and Surlana talk about The Laurel Canyon Conspiracy. Laurel Canyon in the 1960s and early 1970s was a magical place where a dizzying array of musical artists congregated to create much of the music that provided the soundtrack to those turbulent times. Members of bands like the Byrds, Buffalo Springfield, the Monkees, the ... See More Beach Boys, the Mamas and the Papas, the Turtles, the Eagles, the Flying Burrito Brothers, Frank Zappa and the Mothers of Invention, Steppenwolf, Captain Beefheart, CSN, Three Dog Night, Alice Cooper, the Doors, and Love with Arthur Lee, along with such singer/songwriters as Joni Mitchell, Judy Collins, James Taylor, Carole King, Jackson Browne, Judi Sill and David Blue, lived together and jammed together in the bucolic community nestled in the Hollywood Hills. Nite nite everyone! Great show! 2Great show guys!!!! Love you all. Have to visit one day. Surlana what is your favorite type of music? You've been places I have never seen!